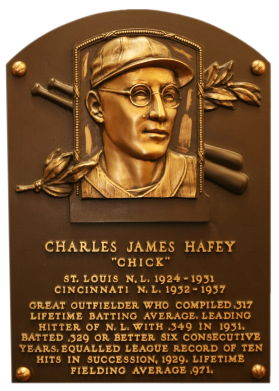 Chick Hafey's misfortune was to play before the advent of the batting helmet. Several beanings and a chronic sinus condition affected his vision, forcing him to wear glasses in an effort to correct the damage. 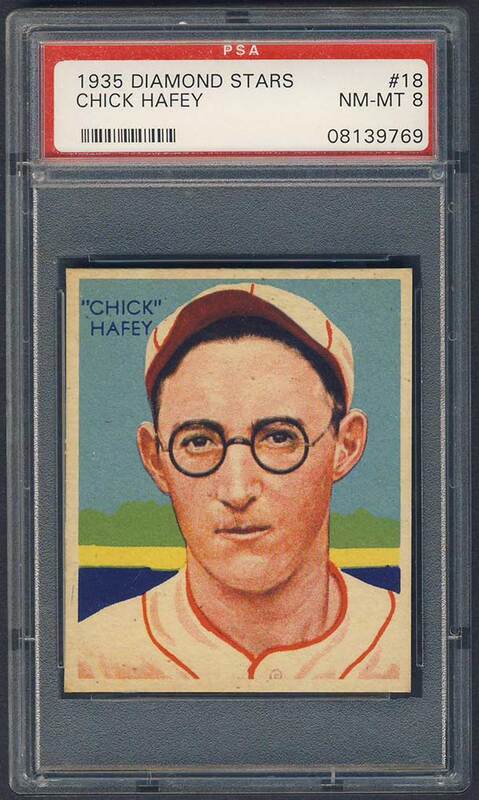 Nevertheless, Chick hit over .300 in nine seasons and captured the NL title in 1931 with a .349 mark. He was known for his rifle arm and his line drives. Ill health and vision problems, however, forced the career .317 batter to retire. Comments: The 1935 Diamond Stars Hafey is an incredible image. 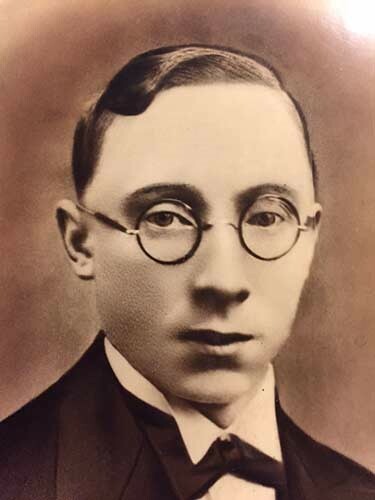 I was only nine years old when the doctor determined I needed glasses. 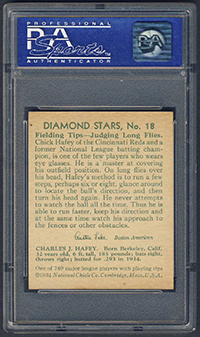 I feel a strong connection to this card and the story of how Hafey was one of the first major leaguers to wear glasses in the field. The colors on strong examples of this card are incredible. 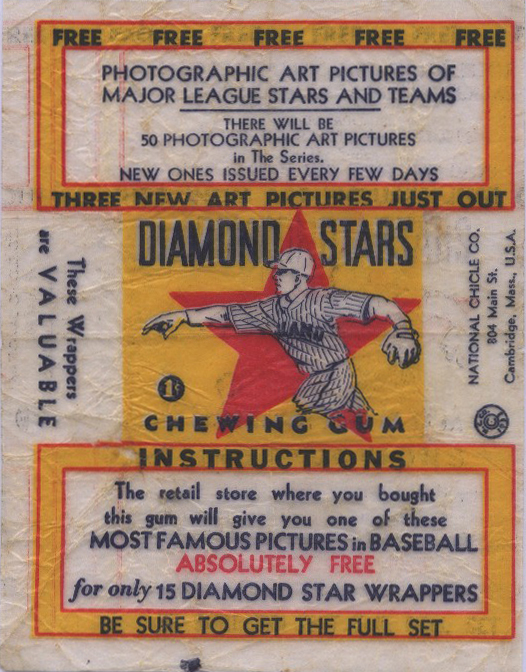 I purchased my first example, a PSA 5, in January of 2003. I upgraded to a PSA 7 in January, 2005. I saw a beautiful MINT example on display at some National but the price was crazy. It made me want to find a different example where the color is eye-popping. 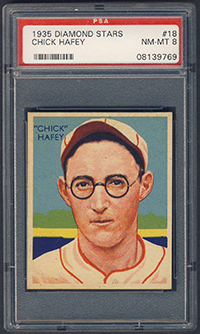 So I'm looking for a nice PSA 8 with sharp contrast and bright colors.